The Knowles Collection: Mexico, Civil Registration and the Jews. 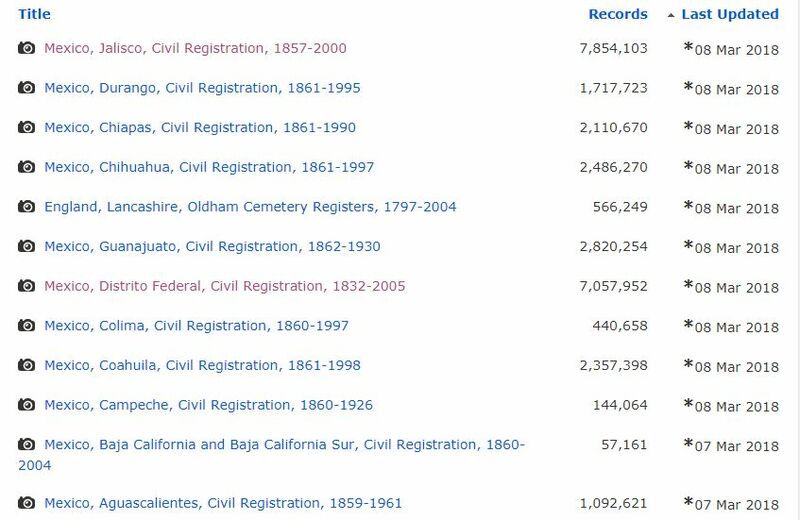 This past week at the 2018 Rootstech Conference, which was held in Salt Lake City, a lot of publicity was given to FamilySearch for releasing millions of Birth, Marriage and Death records from Mexico. 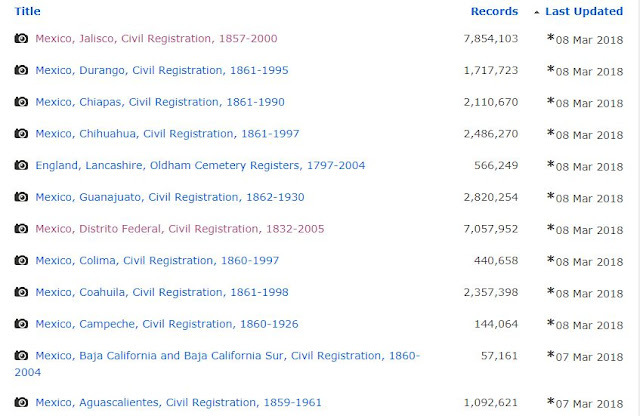 The records are identified by state, and the earliest records date to 1832, however the majority begin in the 1860's. These records are also very modern with many extending into the 21st century. The entire list of the records added is shown below, and includes one database from England, which was also updated at that time. 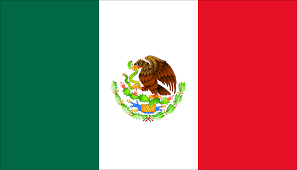 The history of the Jews in Mexico begins in the early 1800's when those who were forced out of Spain and Portugal during the Inquisition began to arrive. During the Colonial Period in Mexico (1580-1640), many Jews came to Mexico from the Iberian Union, at a time when the Portuguese Jews had somewhat freer movement to Spanish America. However, when Portugal won its Independence from Spain, that led to persecution of the Portuguese Jews. This lasted into the 1800's when the Liberal Reform led to religious tolerance, and Jews were free to immigrate to Mexico. This freedom led to Jews coming from all over, first Europe, then the Ottoman Empire and finally the area that is now Syria. 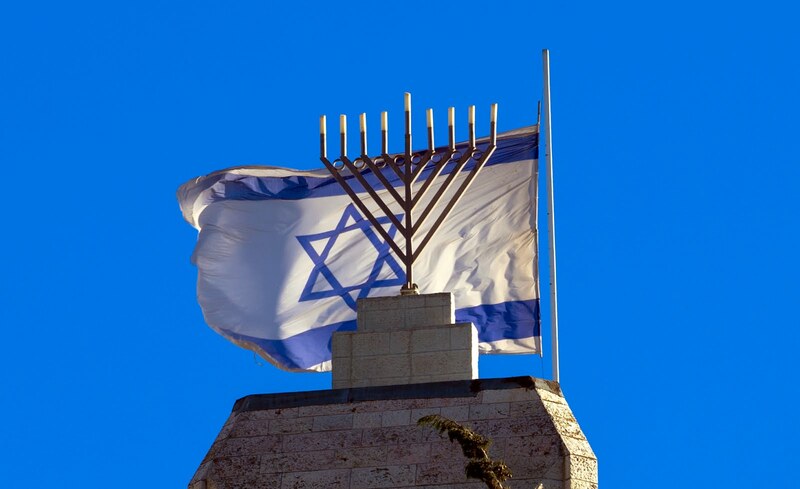 Today, the Jewish population of Mexico is over 67,000, with the majority being in Mexico City and Guadalajara. 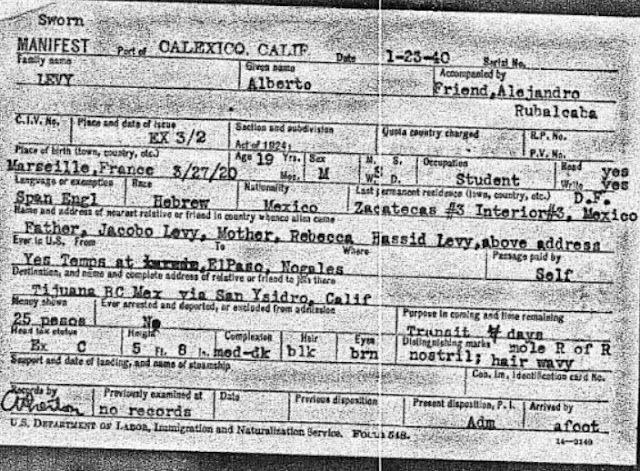 The newly posted Civil Registration records are especially help full to those families who had Jewish family who came from Europe. In many cases, some had after they left Mexico for the United States, but what happened in Mexico has been harder to locate. 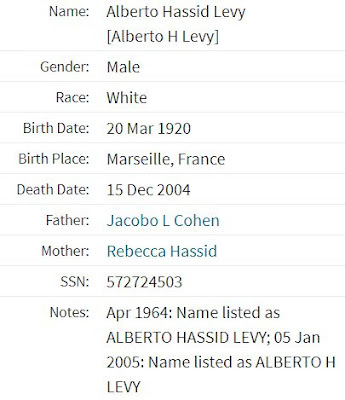 An example of this is the records of Albert Levy Cohen Hassid, who was born on 20 March 1920 in Marseille, France. He was the son of Jacobo L. Cohen and his wife Rebecca Hassid. This information comes from the Ancestry database, U.S., Social Security Applications and Claims Index, 1936-2007. Also, we are able to identify him in the Border Crossings: From Mexico to the U. S., 1895-1964 collection, whish is also from Ancestry. The information matches the information found on the previous document. Now, we do know a lot about his birth and his death, as well as his arrival in the U.S., but very little else. 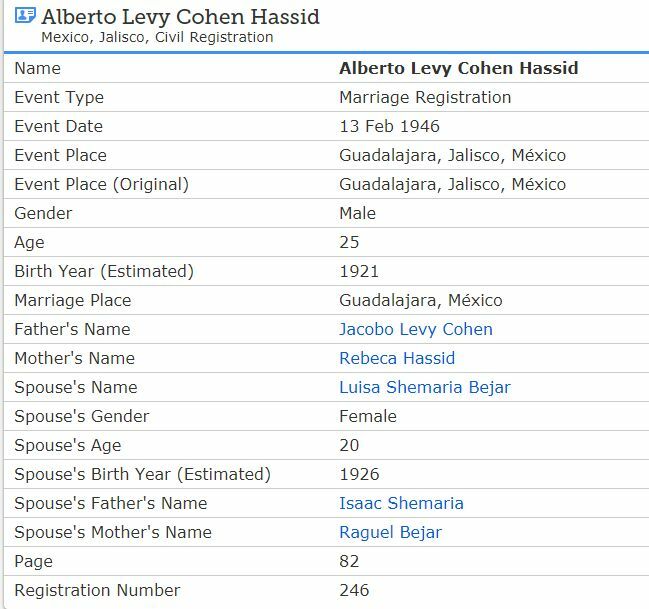 I have not been able to find a marriage for him in the states and if he did marry here, he would have only had a few weeks before the census, so he and his wife would most likely have not been on the 1940 Census together. 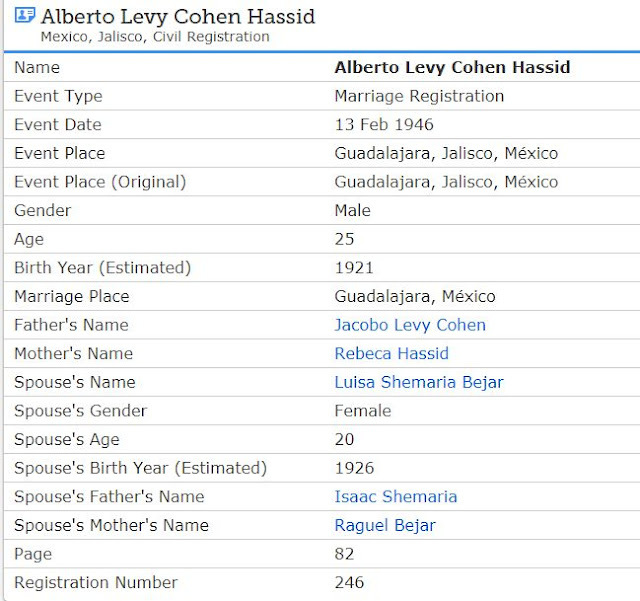 However, if we take advantage of the new Civil Registration databases we find that by 13 Feb 1946, he had to gone back to Mexico, because on that day he married Luisa Shemaria Bejar, the daughter of Isaac Shemaria and his wife Raquel Bejar in Guadalajara. Jalisco, Mexico (the original is below). 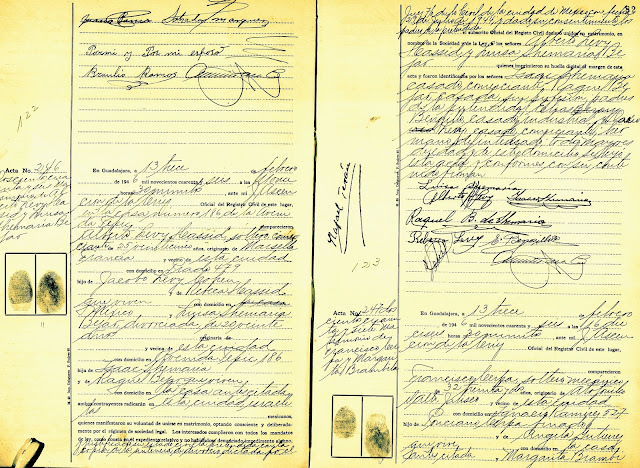 FamilySearch has been kind enough to also provide the transcription for those without a knowledge of Spanish and it is below. Once again, the information provided can be tied directly to the other documents, which continues to provide us the information to complete his life story. He will never be forgotten. 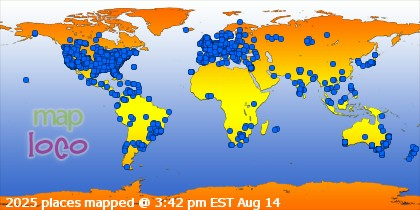 What an incredible time we are in, where so many records are becoming available through so much hard work by everyone.